Acupuncture and other forms of Eastern medicine are becoming increasingly sought after due to their empowering nature, giving one back control of their body and health care. Many health issues are successfully and safely treated with little or no side effects, some that even Western medicine cannot address. Eastern medicine is based on Qi (pronounced “chee”). 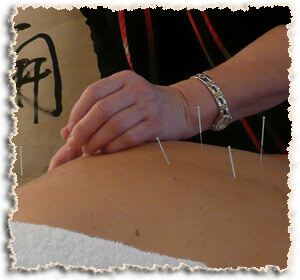 Recognized by ancient Chinese, Qi is the vital energy in all life forms and life processes. In the human body, Qi circulates throughout along specific pathways, each associated with a particular physiological system of internal organs. When there is an imbalance of Qi in the body, optimal functioning of these systems is impaired and the result is one of dis-ease. The Skagit Whole Health Center, through the energy healing practices of Acupuncture, Chinese nutrition and herbs, Tuina (Chinese Massage), Shiatsu and Qi Gong, creates a treatment plan that addresses each individuals needs. We treat not only the symptoms, but the root of the illness, thus restoring the balance upon which holistic health is based.